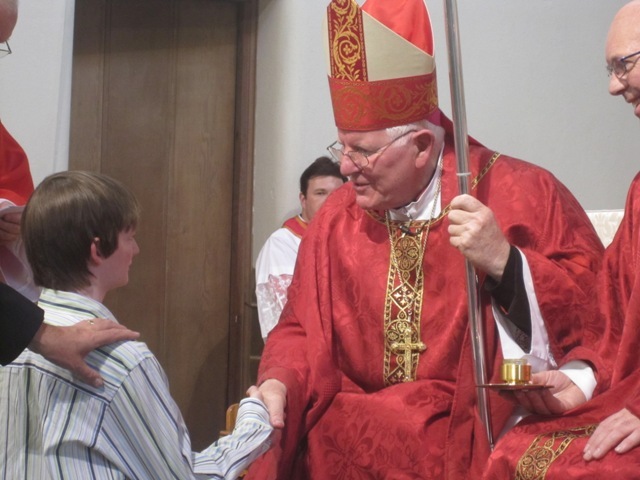 Welcome to this week’s Bishop’s Blog for the Feast of Pentecost! 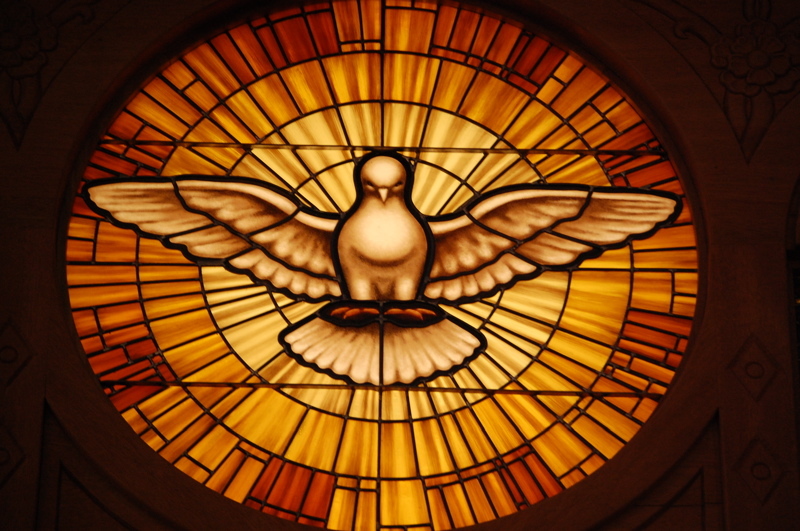 The universal Church celebrates her birthday this Sunday, Pentecost Day, when the Holy Spirit descended in such dramatic fashion upon Christ’s disciples in Jerusalem. While on earth Christ had promised that he would ask the Father to send the Spirit, another Advocate, to befriend them. This was the outpouring of God’s Spirit long foretold by the ancient prophets of Israel. The Spirit would totally transform Peter and his companions and so began the task of proclaiming to the world the story of Jesus Christ, the crucified and now risen and glorified Son of God. The telling of that story continues to this day. 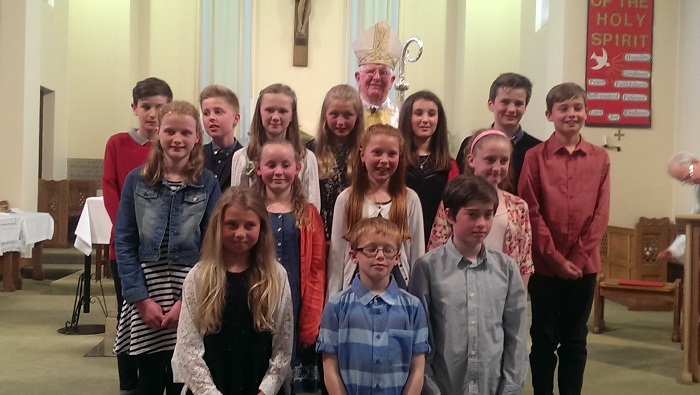 At this time of the year in particular through the sacrament of Confirmation that same Holy Spirit continues to be poured into the hearts of young believers. 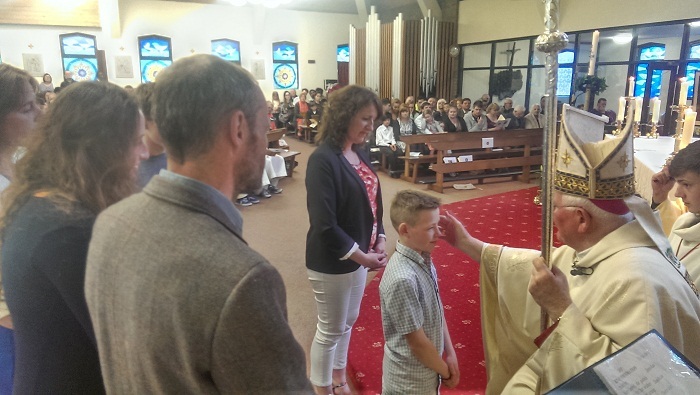 Already this past week, in Preston, I have Confirmed groups in three different churches of the diocese, each occasion being a mini-Pentecost for the young people in question. St. Luke recounts how representatives of many nations were gathered in Jerusalem at that time to celebrate a Jewish feast, yet each of them heard the preaching of the Apostles in their own language. 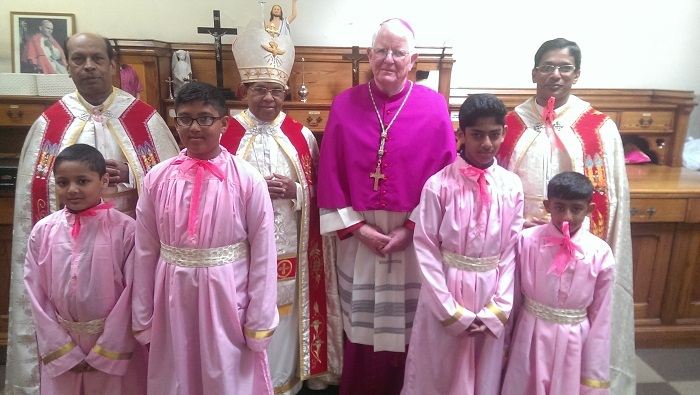 I was reminded of that miracle of Pentecost last Sunday morning when I attended a Syro-Malabar Mass in St. Ignatius’s church, Preston, now in the care of that Church community from Kerala, India. 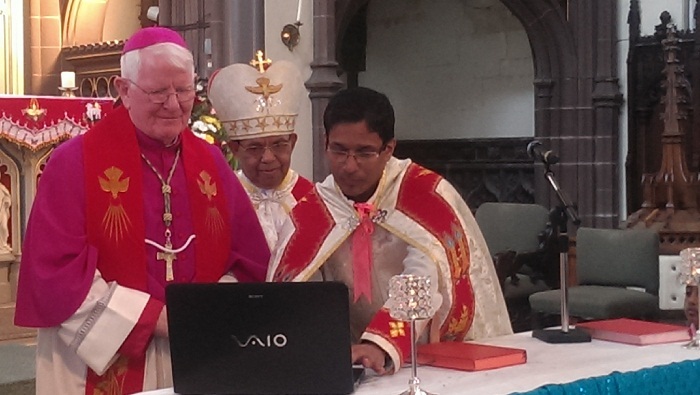 At the close of the Mass I launched, with Bishop Sebastian Vadakel, the new website for the two personal parishes for the Syro-Malabar faithful recently erected in the Diocese. 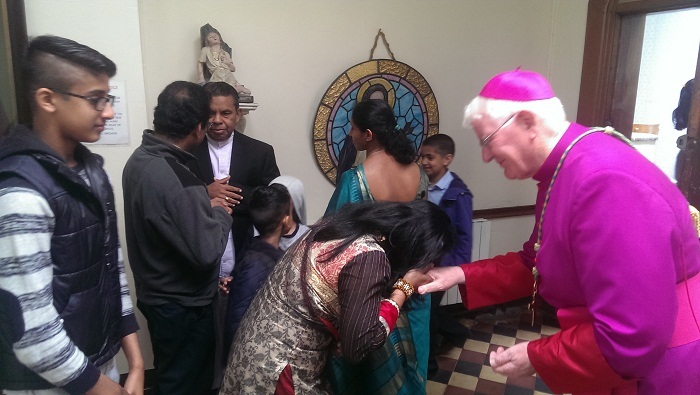 The Syro-Malabar Church is very ancient and prides itself in its apostolic origins, going back to the apostle Thomas. 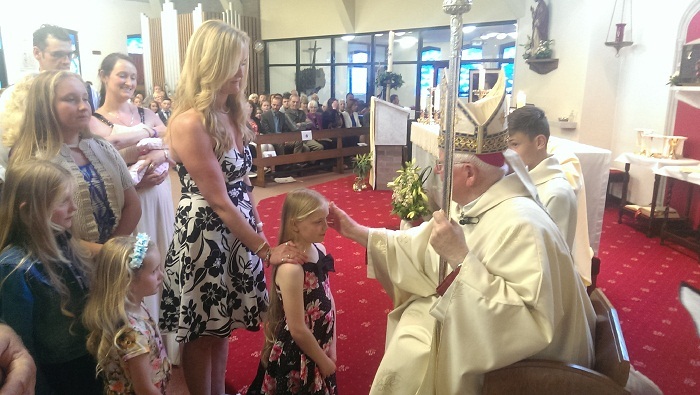 In full communion with the Roman pontiff, they have their own language and liturgy and are a rich expression of the catholicity of Christ’s Church. Other ecclesial manifestations of this catholicity would be, for example, the Ukrainian and Armenian Churches, to name but two. 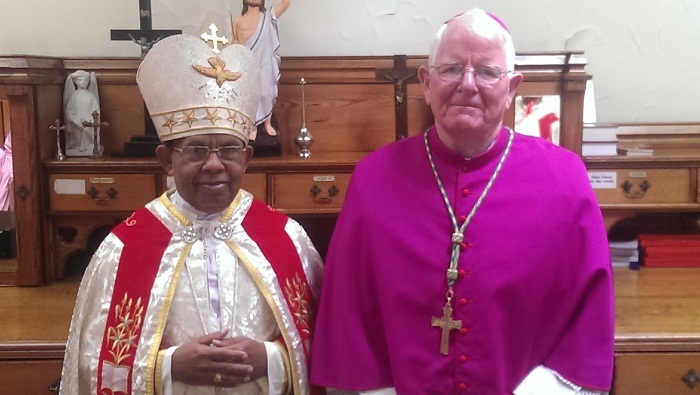 We need to remember that other rites exist alongside the Latin rite which is our particular tradition and ecclesial inheritance here in the West. 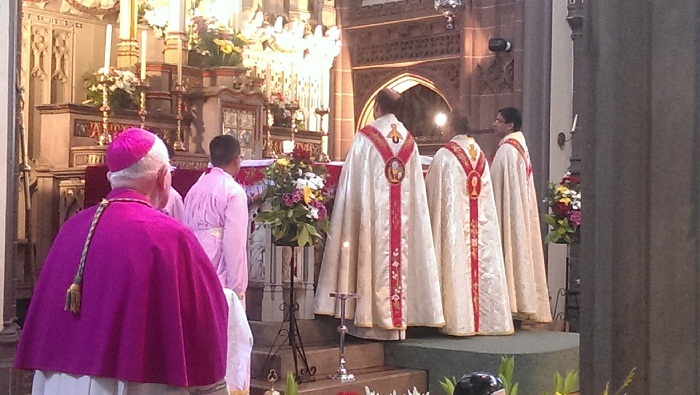 The wonder of Pentecost still reverberates! 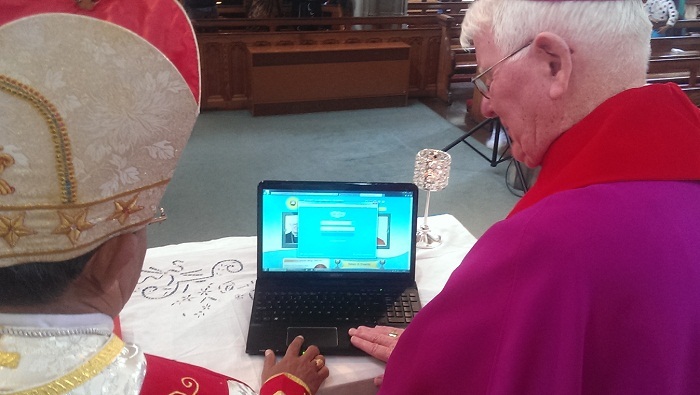 The variety and character of the gifts poured out on the Church through the Holy Spirit are many and diverse. 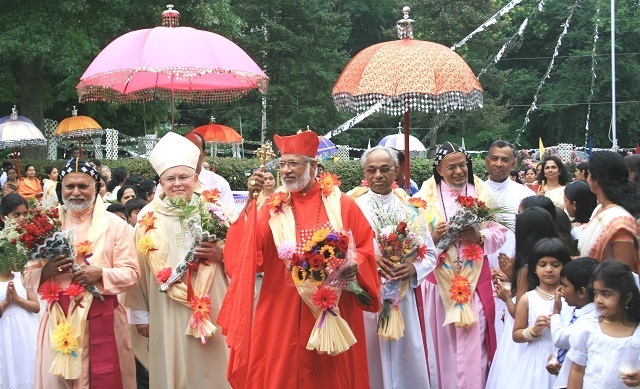 First among these graces are the theological virtues of faith, hope and charity which hold in unity and sustain the Church, the body of Christ. 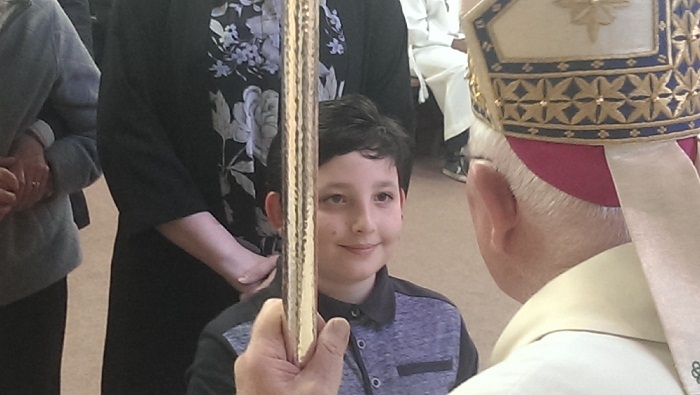 Each believer is enriched by the presence of the Spirit, and if we could but realise it, through the Spirit indwelling in us we are swept up into the communion of the Father and Son. 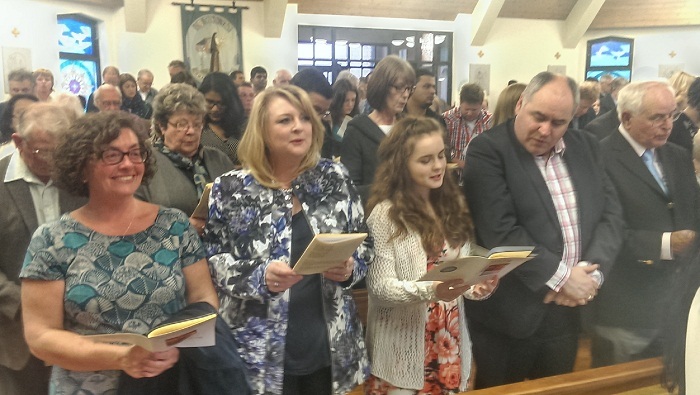 The solemnity of Pentecost is a day of joy for reflecting on the many divine blessings we enjoy through being part of Christ’s Church. Let us pause at some point this weekend and be still as we listen to the Holy Spirit speaking to our hearts, as he leads us ever deeper into our understanding of who Christ is, and of our dignity as sons and daughters of the Father. Like the great prophet Elijah on Mount Horeb long ago, may we today be touched by that gentle breeze of the still small voice of calm, which is the descent of God’s Holy Spirit! 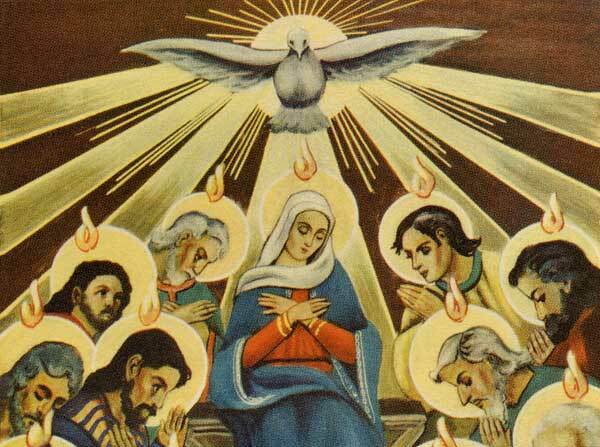 A blessed Pentecost to you all! At the Ascension & Awaiting the Holy Spirit to renew the face of the earth!